BLACK FLAG FOUNDER TELLS HIS STORY! 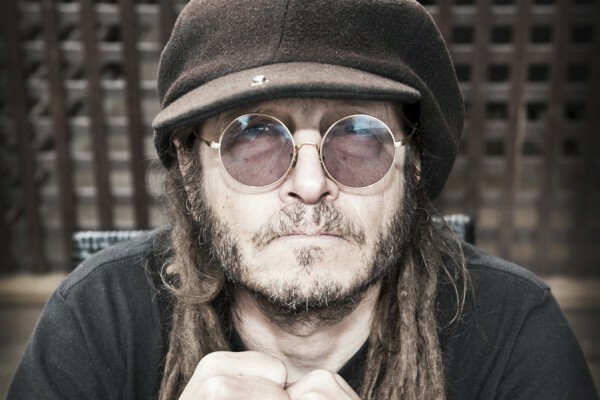 SoCal harcore legend KEITH MORRIS has his autobiography published next month. My Damage: The Story Of A Punk Rock Survivor is literally that, charting the former BLACK FLAG, CIRCLE JERKS and OFF! frontman’s life, from his Hermosa Beach childhood working in his father’s bait shop, through his first experiences with drugs – from a friend who worked in a zoo! – to the formation of Black Flag and beyond, along the way appearing in classic movies The Decline of Western Civilization and Repo Man, and battling drug and alcohol addiction, diabetes and the music industry. Co-written with noted punk fanzine writer Jim Ruland, My Damage is published by Da Capo on 30 August. It’s available to pre-order here. Morris currently fronts FLAG alongside original Black Flag members Chuck Dukowski, Dez Cadena and Bill Stevenson and guitarist Stephen Egerton. They play Camden Underworld, London on Tuesday 2 August and Rebellion, Blackpool on Thursday 4 August. ‹ KNOCK OFF VIDEO EXCLUSIVE! Kieth is a strong living determined example of a man making his own way in this world on his own terms in spite of suffering, hardship, and loss. He is true to himself and true to his ethos. He is a teller of truth no matter how hard, no matter how uncomfortable; he is real. His autobiography will be a revelation setting a standard for truth and integrity we should all try to incorporate into our lives. Cannott wait to read and own a copy! I met Keith twelve years ago in Seattle at Showbox when he was touring the West Memphis Three Defense with Rollins Band and he has been one of my music idols my entire life mainly for his honesty and very same punk rock ethosod of which I can absolutely relate and honor deeply.